Critically lauded writer and playwright SEAN LEWIS follows up the cult favorite SAINTS with his newest book THE FEW. 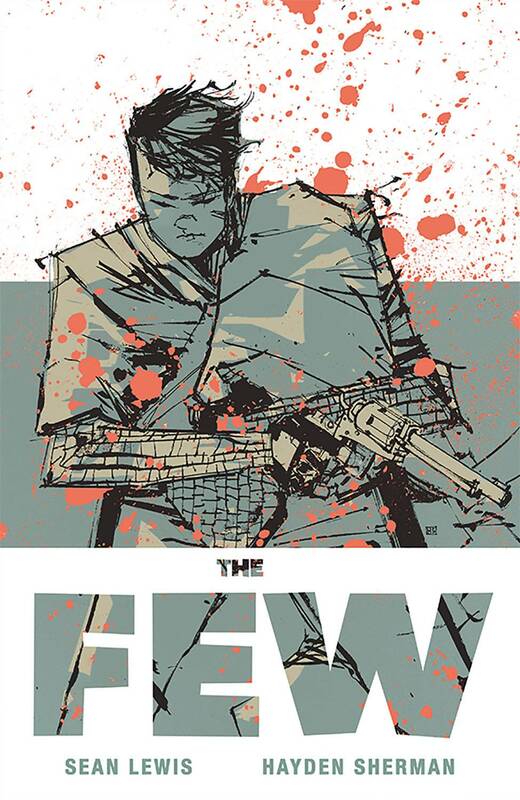 Teaming with red-hot artist HAYDEN SHERMAN for a LIMITED MAXI-SERIES, THE FEW combines Mad Max action with a Station Eleven sensibility in this sci-fi series for mature readers. In a dystopian future, two survivalist brothers stumble across an unlikely sight: a woman asleep in the woods holding nothing but a gun and a baby wearing a gas mask. As these boys begin to embark on helping this woman, betrayals, secrets, and revolutions abound in the fight for what's left of America.